Before we dig deep into are Lucasi cues good? It’s better we learn from where its happening. Jim Lucas started the cues under Cue&Cue Sales line in Florida USA. Cue&Cue orders the Lucasi sticks from China from where they are imported in the USA and sold on retail. Yes, Lucasi cues are good for a number of reasons. Their ratio of performance to money is quite high. They are made under very strict quality checks. Retailers report very low returned Lucasi Stick percentage and also users like them because of their high resale value. I have reviewed a Lucasi custom stick among some other nice cues you might want to check them out. In this post, we have very interesting information related to Lucasi above mentioned good points. During my research, I got in touch with 3 retailers. One of whom was selling the sticks for more than 20 years. The second for more than a decade and the third for around 5 years. According to the first seller, Lucasi pool cues have very low defect rate and during more than 2 decades only a handful of people came back to return the cue in comparison to the Menucci cues which were once very popular but had a 1 in 3 defect ratio. According to the second retailer, during a decade he did not have much trouble keeping the Lucasi. Any customer who found a defect while playing with the stick would get it easily returned thanks to the lifetime warranty offered by the Cue&Cue and quick service of the customer care department. The only problem Lucasi sticks very rarely had was due to expansion in the metal joints and inlays. This happens because of the pressure of increased production. Moisture is not properly absorbed from the production wood or the wood are quickly processed into the production phase without allowing them to age for a good amount of time. The third retailer had the most unique response. During his five years, he actually complained that the demand for Lucasi sticks was so high that the Cue&Cue were not able to deliver new sticks on time. He would get really annoyed because his shipments were delayed and often his customer would rather buy some other brand or go to some other shop which had the Lucasi cues available. So this pretty much concludes that the Lucasi cues are recommended by the Retailers themselves but there are other important points as well that make them a good cue. Don’t worry continue reading and we have covered that in this post. Lucasi sticks are made in Taicang in the same factory where Predator, Universal, Poison sticks are made. I have come across many people who preferred Universal over Lucasi stating the reason that its American made which is not the case, it is Chinese. The reality is most of the American made cues are not only more expensive but they have parts that were made in China. So somehow Chinese material is still involved under those made in America stickers. Taking the information from the person who was involved in designing the Taicang Pool Cue factory. According to him, the quality control criteria for Chinese is so tough for the imported line that they even risk the lives of their employees at times. Any stick found defected during the manufacturing process is graded in two categories. The first category is allowed to be sold within China while the second category is termed useless and such defected products are destroyed altogether. One of the world’s finest wood grows in Taicang and the same is used in the production of the Lucasi stick along with the other brands mentioned above. Because of lower wages, factory in China is able to make the stick at a much lower cost than in a country like the USA hence they are able to reduce the production cost and then compete with higher end cues manufactured abroad. 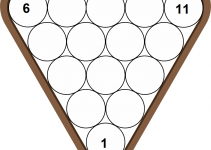 This is one of those prime reasons Lucasi cues were able to penetrate into the $300 pool cues US market. The high quality to low money ratio in comparison with other cues in the market had impressed the US manufacturers so much that Lucasi is the only brand which forced US companies to visit and view their production process in China. Anyone who is just starting out or looking to improve the game Lucasi sticks are not a bad choice at all. They offer a very good value for the money. 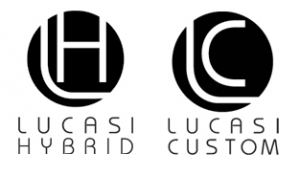 Under the budget of $300, a Lucasi hybrid custom stick can really help to improve the game. They are available in variety or wrapping. My personal recommendation would be to go the cheapest hybrid cue available for a starter or someone who thinks he just entered the intermediate league. In the pool anything made custom is considered superior to the manufactured products. Lucasi has a wide range of custom cues and its great for someone looking to step the game. If you take proper care and maintain it nicely the stick won’t betray you and will remain with you for more than a decade. Because Lucasi cues are trusted among the players. It has a very reasonable resale value. Players with Lucasi sticks for over a decade endorsed the fact that their stick has not bent and is still hitting the balls straight. If you have a Lucasi stick that has solid woodwork and no stickers on the shaft then you have got a very nice cue and it should resell for a very nice price. These sticks are meant to last for decades. If you happened to visit any pool cue store then simply take the oldest Lucasi cue available there. In order to identify the older cue look at the production number toward the bottom of the stick. If it says LHF58 then it means it was made in June 2008. The first number is the month and the second is the year it was made in. Just roll this stick on a flat surface and you will see it is rolling smoothly. 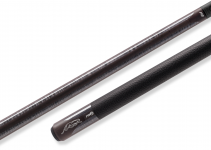 Lucasi offers a lifetime warranty for its cues. This shows the company has immense trust in its quality control process and yet it is not surprising because of the three retailers I got information from all of them told the same thing that returned cues ratio is very low among the Lucasi sticks line. If you have a budget of around $300-$350 then a Lucasi stick is a very good choice, however, if you can tuck in some more money than you can explore the local US production lines who will offer far better user and playing experience. Yes, they certainly are better than many brands around selling inferior quality for the same or higher price tag. If you are someone who has got a little experience playing with the in house sticks and is hesitant in buying a new stick then I recommend that you should buy a Lucasi custom stick. 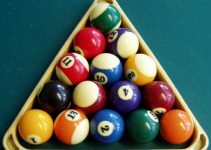 In fact, I have reviewed some of the best pool sticks available on the market today that can step your game in quite a short amount of time.